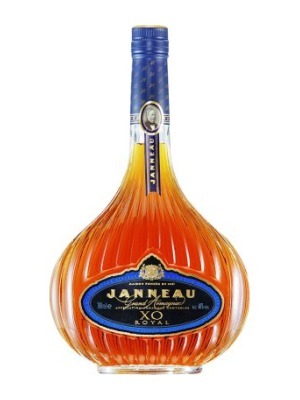 Janneau XO Royal Armagnac is a popular Brandy and Cognac available from Waitrose Cellar in 70cl to buy online. Visit Waitrose Cellar for the best price for 70cl of Janneau XO Royal Armagnac or compare prices on our other Brandy and Cognac products. The XO Royal, known also as the '12 Years Old', is a blend of various Armagnacs which, exclusively, have been aged in oak in Janneau's maturation warehouses. Supervised and sampled throughout the ageing process the spirits chosen for the XO Royal blend are chosen for their specific qualities. The colour blue, chosen as an expression for XO Royal, is the colour of the Third Millennium: the blue of lapis-lazuli, the gem capable to free the creative expression and increase mental clearness. The specially designed Janneau 'Basquaise' bottle of the XO Royal is completed by the outside Metal Box in blue and gold crafted in Italy. The result is a gift presentation of sure impact. Where to buy Janneau XO Royal Armagnac ? Janneau XO Royal Armagnac Supermarkets & Stockists. You can buy Janneau XO Royal Armagnac online in most retailers and find it in the Brandy and Cognac aisle in supermarkets but we found the best deals online for Janneau XO Royal Armagnac in Waitrose Cellar, TheDrinkShop, and others. Compare the current price of Janneau XO Royal Armagnac in 70cl size in the table of offers below. Simply click on the button to order Janneau XO Royal Armagnac online now.